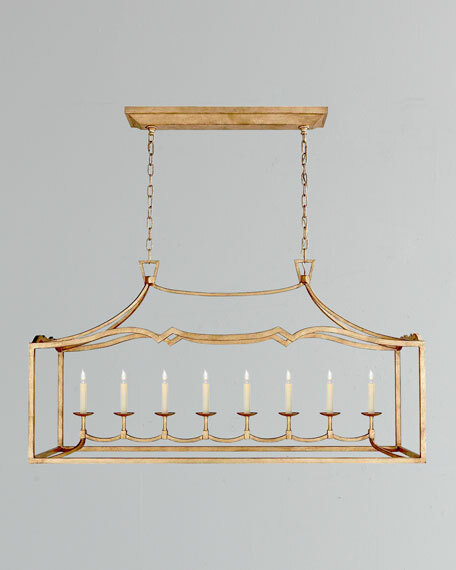 Handcrafted lighting pendant in hand-finished, gilded iron. Designed by EF (Sandy) Chapman exclusively for Visual Comfort. Uses eight 40-watt type-C bulbs. Back plate: 6" x 28.5" rectangular. 51.8"W x 16"D x 28"T.